The short answer to your question is “Yes, you can use Google”. But, if you’re like many of the Mi Crow customers out there you’ll want to ensure that you’re getting consistent and reliable answers to your Microsoft Office questions. Better still, you’ll want it all in one place from Microsoft Qualified professionals. Now, we’re not saying that the guidance you get from Google is not from professional trainers! However, the very nature of Google means that it’s highly likely that for each search you make you’ll get served up a multitude of different answers from different people. Mi Crow specialises in servicing the corporate sector and as such having consistent and reliable content all in one place is of the utmost importance to us. We’re fussy about the quality of information we supply, whereas Google (whilst wanting to give you the right answer) will serve up everything that exists, whether it’s completely accurate and high quality or not. Now we use Google for all sorts of things but when it comes to education we find that it’s important to be able to get back to the person that has helped you the most and that you have both confidence and trust in the answers you’ve received before. We hope that people come back to us over and over again because we truly believe that our content is special in many ways. However, we do recognise that we are not the only player in this market place and there are many suppliers that offer great content – the key is knowing and trusting the source of the data. 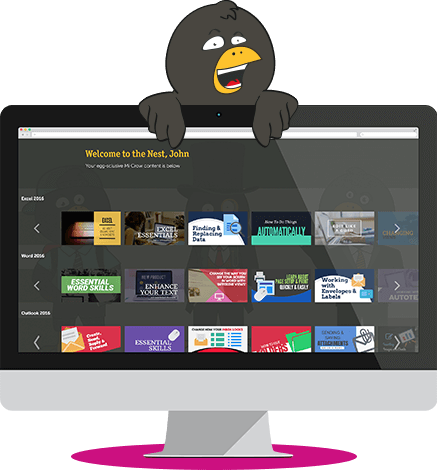 As a result, getting your online learning from a specialist will ensure they qualify as a provider of consistent, reliable answers all in one place!